Last week, I was in Boston, Massachusetts for the day. As with every major city that I visit, I always search to see if there are any organic places in town. 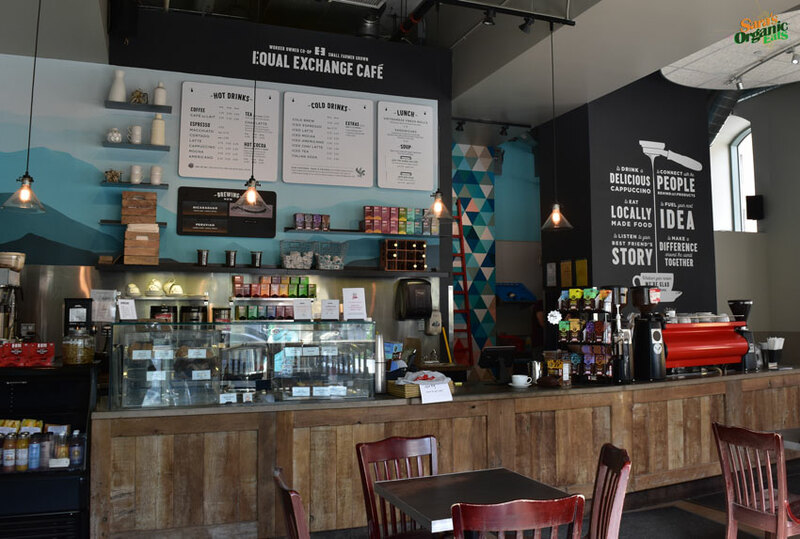 I saw that there was an Equal Exchange Café. For those of you who do not know, Equal Exchange is a Fair Trade, organic company that sells amazing chocolates, coffee, tea, hot cocoa, dried fruit, and nuts. You can buy their products in Whole Foods Market and at almost every natural/organic market. So when I saw that they had an actual café, I HAD to visit it since I never even knew they had a cafe. Even though I was only in Boston for about 8 hours, I found a way to stop by. Diane’s Sweet Heat are jams with attitude. Their tagline certainly lives up to the taste of Diane’s Sweet Heat jams. At the Natural Products Expo West a couple of months ago, I came across Diane’s Sweet Heat booth. I tried all four flavors of the jam and I fell in love. The sweet taste of fruit mixed with some habanero heat is divine! 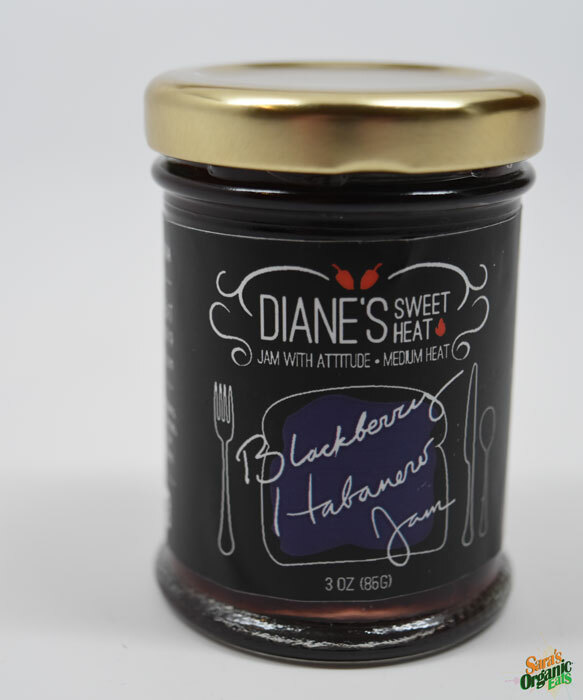 I am not the biggest fan of spicy food but Diane’s jams are the perfect balance of sweet with a little heat. Lets just say that I did not need to rush to the nearest booth with dairy to try to take the heat away. The jams come in 4 flavors. The flavors are Blackberry Habanero, Mango Habanero, Raspberry Habanero, and Peach Habanero. Each flavor is made with NON-GMO and natural ingredients without any artificial colors or flavors. The ingredients for each flavor are red bell peppers, pure cane sugar, fruit of the jam flavor, apple cider vinegar, fruit pectin, and habanero peppers in that order. When you open a jar of Diane’s Sweet Heat, you automatically get a delicious smell of habanero with that hint of the flavors sweetness. Again, it is the perfect balance of heat and fruit sweet. You can enjoy Diane’s Sweet Heat jams over cream cheese, with crackers, on toast or bagels, with cheese, in a marinade for meats and vegetables, or even on top of your favorite ice cream. 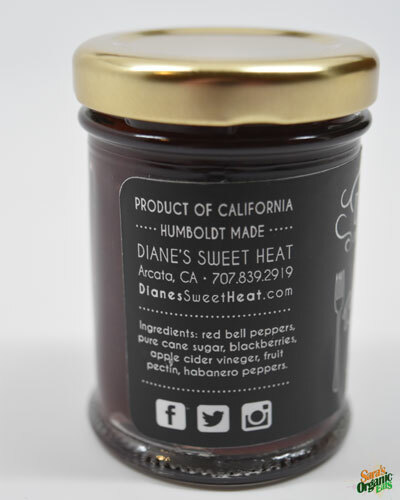 Diane’s Sweet Heat is currently sold in Northern California where the jams are made. Please visit http://dianessweetheat.com to find a location where to purchase in California. For those of us who do not live in Northern California you can purchase Diane’s Sweet Heat here. Hope you enjoy these jams with attitude! 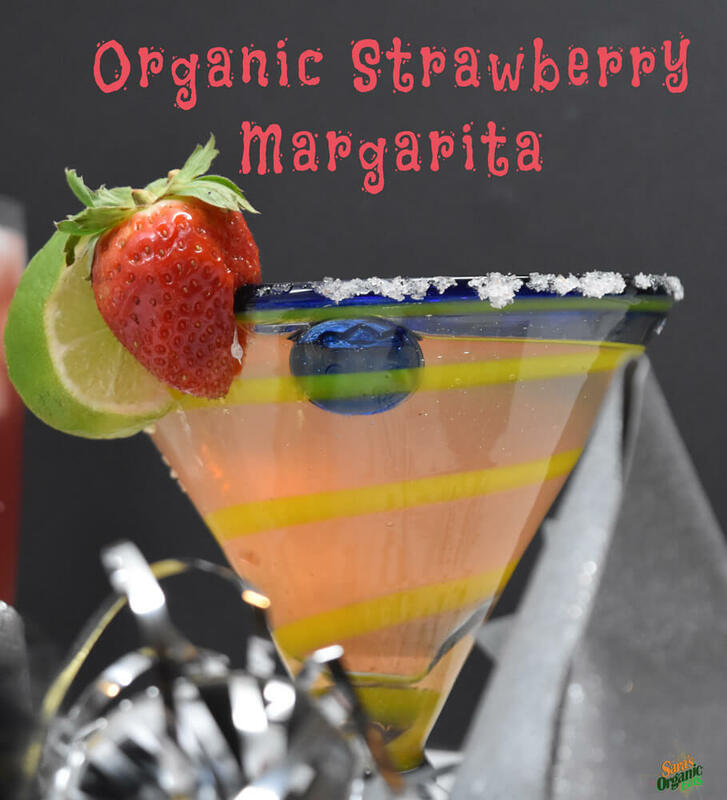 Tomorrow is Cinco De Mayo and what better way to celebrate it than with an organic strawberry margarita. This strawberry margarita is very easy to make with very few ingredients. I used Himalayan pink salt to rim the glass. The strawberry flavor gives the margarita a sweet taste to it. It is very refreshing. This strawberry margarita pairs well with any traditional Mexican dish and of course to drink with organic guacamole and organic tortilla chips. This margarita is great to have on Cinco De Mayo, but you can make it for any type of fiesta! 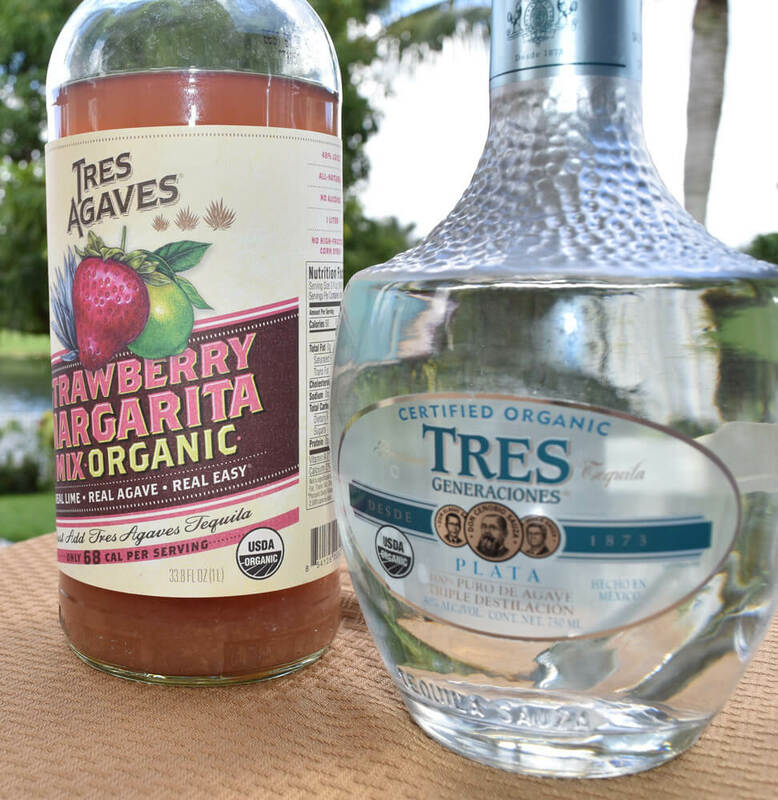 I used Tres Agaves Strawberry Margarita Mix and Tres Generaciones Organic Tequila to make this easy strawberry margarita. I found the Tres Agaves Strawberry Margarita Mix and Tres Generaciones at my local liquor store. If you can’t find that specific brand of organic Tequila, you can use another brand of organic Tequila. Measure the tequila and margarita mix and place them in a shaker with a handful of ice. Shake it and leave it to the side. To make the salted rim use two plates. On one plate put simple syrup or margarita mix and the other himalayan salt. Dip the rim of the glass on the plate with margarita mix and make sure to get it really wet. Then dip it into the salt. Once the salt is on the glass, pour the margarita into the cup and then garnish with lime and strawberry. I hope you all have a fun and safe Cinco De Mayo! *Disclaimer: Just because the alcohol is organic does not make it any safer. It still has the same effects so please drink responsibly. Organic guacamole is one of the easiest and tastiest dips to make. Also, Cinco De Mayo is in a few days! Cinco De Mayo is a holiday to commemorate the Mexican army who won the Battle Of Puebla against the French Army. I think us American’s go all out way more than the Mexican’s in Mexico do. Mexican food is amazing and one of my favorite cuisines. 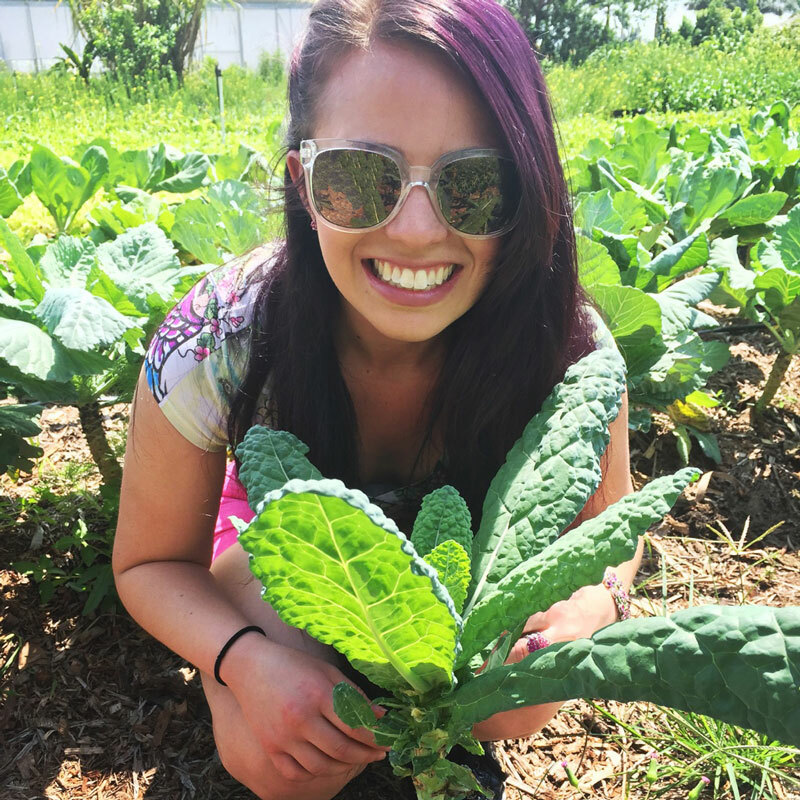 I love making guacamole and of course making it organic! It is one of the best dips ever created. You can make guacamole any time of the year for almost every occasion or for no reason at all. 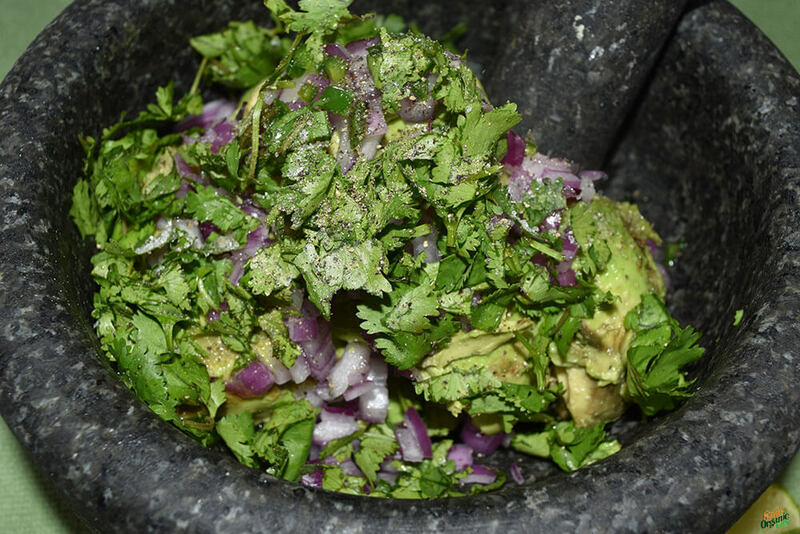 The only way to make guacamole is in a Molcajete which is a mortar and pestle. It brings out the most flavor of the guacamole. This is the traditional way to make guacamole. It is amazing to think that with only a few organic ingredients, you have this delicious organic guacamole. Place the peeled and pitted avocados in the molcajete. Then add the lime juice, olive oil,salt, and pepper. Mash those ingredients together lightly with with pestle. then add the red onion, jalapeño, and cilantro to the molcajete. Mash all ingredients together until everything is mixed and you reached your desired consistency. (I like leaving it a little chunky). Serve immediately. Feel free to add more or less of any of the ingredients. If you don't have a Molcajete, use a mixing bowl. Don’t forget to grab your favorite organic tortilla chips and dip it into this yummy organic guacamole. I hope you all have a fun Cinco De Mayo!